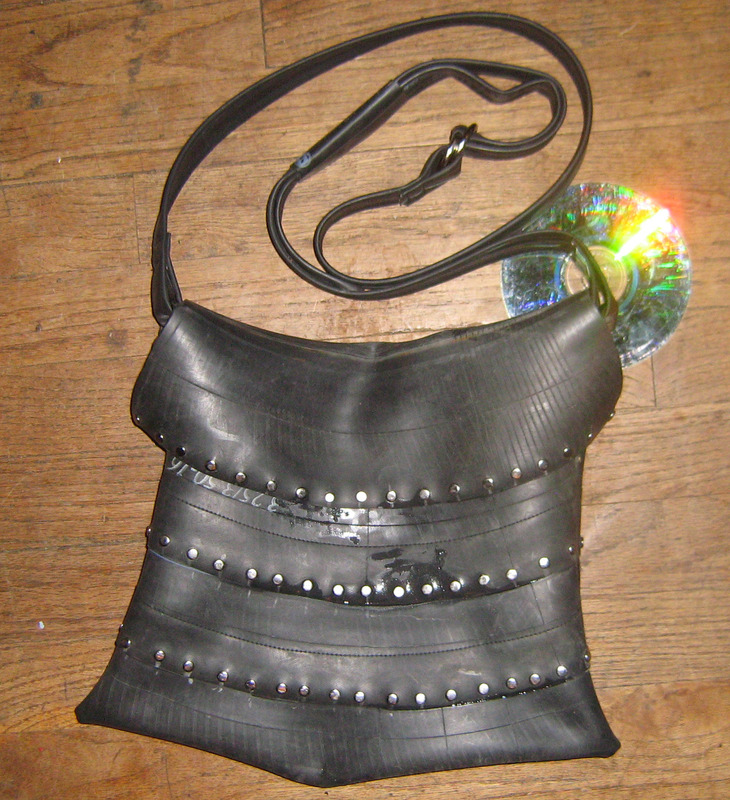 Crafted from layers of motorcycle tubes, and adorned with rivets. This is a simple, yet attractive daily use bag. Sold.